The noise generated by machinery in industrial areas can be a serious hazard to employee health and productivity. In these environments, Bradgate offer simple and economic solutions to reduce noise, limit vibration and lower the risk of fire. 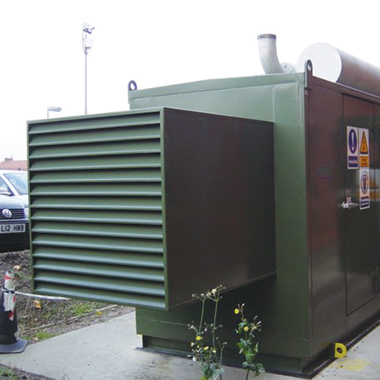 Where practical, noisy machinery can be isolated within a container or canopy – reducing the noise at source, and leaving the operator in a relatively quiet and safe environment. Alternatively, a soundproof refuge can be constructed – either as a ‘one-piece’ structure or as a demountable hollow box steel structure with acoustic panels bolted to the frame – ensuring communication and administration can be performed without interruption or disturbance. 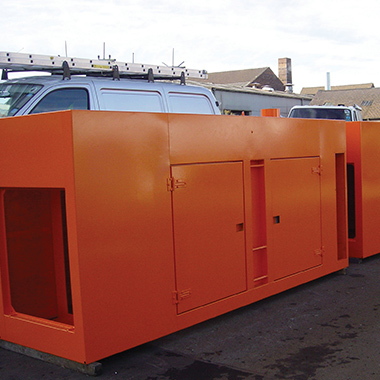 All enclosures are sealed and finished to the customer’s colour scheme, and it is recommended that demountable enclosures receive their final paint finish after installation on site. Bradgate build custom containers, modules and enclosures to any size or shape purpose from 2m wide to 130 tonnes when fully equipped for a wide range of applications including power generator enclosures, offshore containers, railway equipment modules and switchgear enclosures, water treatment units, telecommunications systems, electrical equipment along with pumps and compressors. To prevent spam we require you to prove you are a human by entering the values below in the text box.